The Millennial and Gen C generations who are native digital users will be the largest segment of the population worldwide within the next decade. It's a demographic shift that will have a significant, continual impact on the way we communicate across media, including how we incorporate a technologically advanced visual dialogue into our everyday lives. While Baby Boomers and older Gen Xers may feel everything from dismissive to perplexed or even paralyzed by the shift to digital storytelling, the upcoming generations fear none of that. To get information delivered via virtual reality, gaming or interactive, as well as film, television, video, radio and photography—or any combination thereof—makes complete sense to them, and it's indicative of how documentary content will be delivered in the near future. 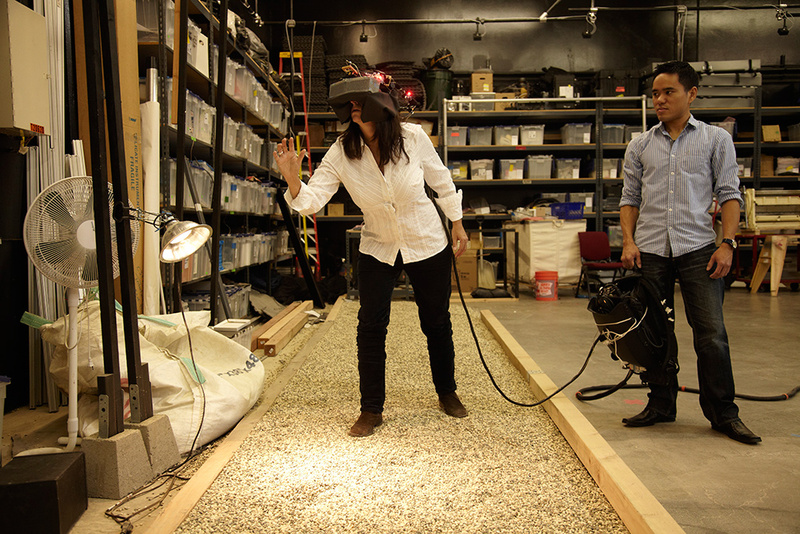 "It's absolutely an audience that's coming of age," declares immersive journalist and documentary maker Nonny de la Pena, who, due to her early adoption and evangelizing of the technology, is also widely regarded as the "godmother of virtual reality." "Kids are very comfortable with their VR presentation and VR self—like Minecraft—and this is an ideal way to reach them." 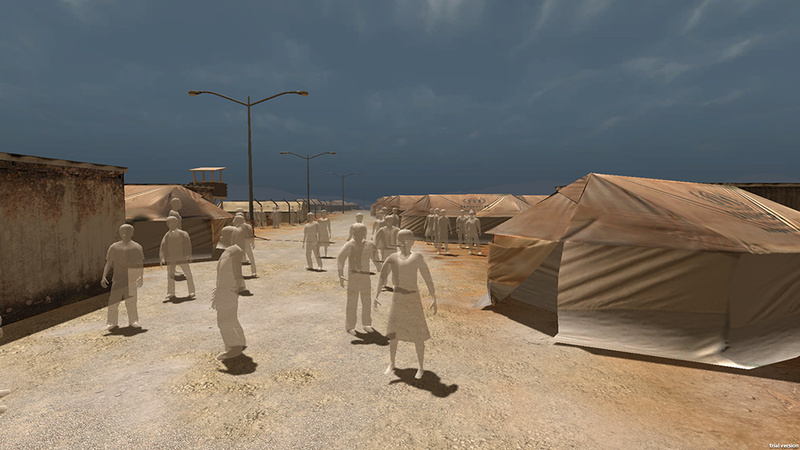 De la Pena's VR documentary journalism piece Project Syria, originally commissioned by the World Economic Forum, is an excellent example of a newer medium's reach. It was installed at London's Victoria and Albert Museum for five days in June 2014. The immersive experience allowed museum-goers to "walk" the streets of war-torn Aleppo and enter a refugee camp as real events occurred. Over the course of its short run, it garnered 54 pages of visitor comments. Asi Burak, president of Games for Change (G4C) and the executive producer of the Half the Sky Movement games, has orchestrated partnerships with game developers Zynga and Frima Studio, as well as some of the world's leading NGOs. He sees games as a medium of choice for the social and political engagement of millennials and their younger counterparts. "It's not like they're not going to watch television or films," he says, "but games are becoming more identified with new generation media." Mirroring de la Pena's success at the museum, G4C worked with Zynga on its Half the Sky Movement games. The partnership, which brought the game to Facebook, brought in 15,000 new players a day. Half the Sky Movement went from a small niche game to one that was played by more than one million people. It's also worth noting that the game, which advocated for the rights of women across the globe, was only one component of the Half the Sky documentary, which aired on PBS in October 2012. It also utilized video, websites, blogs and other educational tools to impart its message to a diverse audience. Burak has observed that younger people are inundated with information. As a result, his feeling is that they're less excited about being preached and lectured to and are much more suspicious about what people are giving them to consume. "They're wary of corporate jargon," he maintains, "so all these things together give us an opportunity to do it in a very compelling way, like in the commercial world. It has to be engaging, but people need to be able to make their own choices and not to be pressured to do-goodery." "The idea that you can tell the audience what's good for them—that they're going to give up a Saturday night to sit in a theater and absorb information until the end credits run—is kind of an obsolete idea," says Brian Chirls, a creative developer and a native digital user, who's currently working on experimental interactive documentary technology as a Knight Technology Fellow at POV. "There are a number of ways that someone can now direct their attention. Whether they're focusing on entertainment, news, political or social engagement, we have to come to them." Chirls sees the tradition of the filmmaker as auteur in a controlled environment as one that needs to transform. Once a film is released, there are all manners of ways the piece can be fractionalized, to the detriment of the original message. If makers become savvier to their content's trajectory across platforms, they may be able to stem some of the tide and open the door to different audiences. Chirls' work at POV is comprehensive in scope and provides a look at how some of this will take place. He's developing "responsive" software code that will allow documentary storytellers to build logic into the medium they're delivering their story on, so it will have an adaptable response to the device by which it's being accessed. The code may eventually go as far as determining the device's bandwidth and input options such as a keyboard, touch screen, mouse, joystick or Oculus headset. Chirls is also advancing the idea that VR, the most individually expensive of delivery tools (goggles cost anywhere from $350 to $3,000), can be made available to everyone for little money through VR starter kits that he discusses in his blog on pov.org. In tandem with the starter kit, he developed a simple open-source code that allows makers to build remedial-to-complex VR environments. Broad access to VR technology tools is right in front of us. "Gartner [the American information technology research and advisory firm] is predicting that by 2018, there'll be 25 million VR goggles out there," de la Pena notes. "That's only two and a half years from now; it's evolving so fast it's not even funny." While the technology races along at an astonishing pace, funding and distribution remain the vexing essentials that still challenge documentary makers in all media. In regard to games, the fiscal bottom line is entwined with the complexity of distribution. G4C is an incubator of sorts for organizations seeking to develop games with documentary intent. 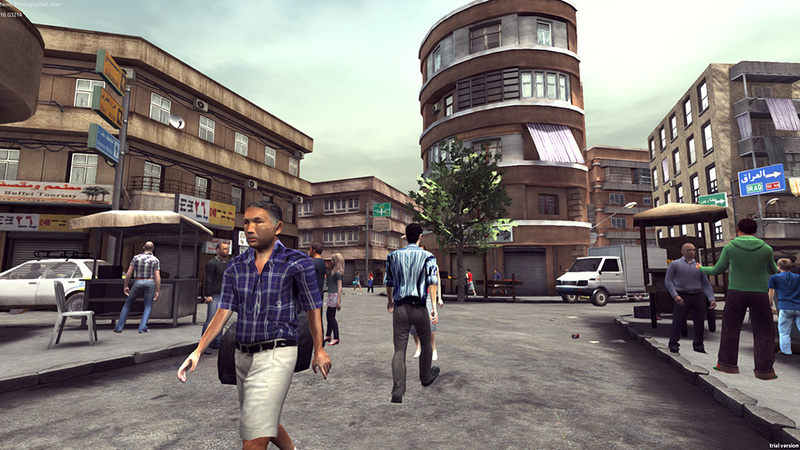 They assist in connecting the group, which has presented the idea of the game with developers and funding sources. "Unlike other media, there are so many platforms and so many different ways to consume games—and it's changing all the time," says Barak. "It was around 2008 that games first started appearing on Facebook, iPhone and Android. This makes distribution very challenging." Barak usually tells G4C partners that distribution is about the audience they want to reach and the context they use to get it to them. When they worked on Half the Sky Movement, for example, Zynga put the game in its Facebook Zbar, effectively treating it as one of their own. Players were drawn to the new gaming challenge and the partnership solicited over $500,000 for the cause, via the interaction of individual, online players. Creators aiming for documentary games to appeal to commercial audiences would develop them with a consumer-facing experience in mind. It's a more expensive proposition, and the work of finding sponsors to offset costs doesn't necessarily mean that players will find the game. It will have to compete against all the game apps already available on the iTunes and Google Play stores, and some funds would likely be used for paid media advertising buys. Even with Zynga's support, G4C did purchase some ads, according to Barak. Conversely, game-makers who are creating with targeted audiences in mind can partner with issue-oriented organizations that would use their existing outreach mechanisms to get the game into the right hands. It's a much less expensive way to use games to educate and illuminate their target audiences. De la Pena's work-in-progress, a cultural representation of women in the US, who are murdered at a rate of three a day by their intimate partners, is in collaboration with Al Jazeera. "We are getting commissions," she says, "but we're unique in the market. I have to make the pieces first to say, 'Look. See, I can do this,' and that's always been true with making stuff. It's very hard to get people to believe that you're capable and confident and a great storyteller, until you have some sort of demo reel." While de la Pena's work does get distributed via installations in appropriate locations, it doesn't have any kind of established channel where audiences can find the stories easily. "How is the distribution going to be delivered?" she asks. "Everybody is trying to figure out who's going to be the distribution mogul." De la Pena is confident that in a short matter of time, the technology and the delivery platforms will be everywhere. At that juncture, there won't be enough content and the content makers will become more sought after, which will then drive distribution. Although she was speaking about VR, de la Pena addresses the evolving documentary space too: "I think that it's like video, like print, like film, like television, but more closely interwoven; this is a new platform. We're just figuring out the language and the vernacular. Right now, it hasn't been written." Elisabeth Greenbaum Kasson is journalist and editor with an abiding interest in the intersection of art, culture, and technology. She's written for many publications including the Los Angeles Times, Los Angeles Magazine, Dice.com, and Movie City News.